BSM Media teamed up with Clover Stornetta, Inc., a California-based family-owned company that produces the highest quality and best tasting organic and natural dairy products on the market, to promote its latest line of Greek Yogurt. Clover has been around for over 100 years and is the leading dairy product supplier in California. 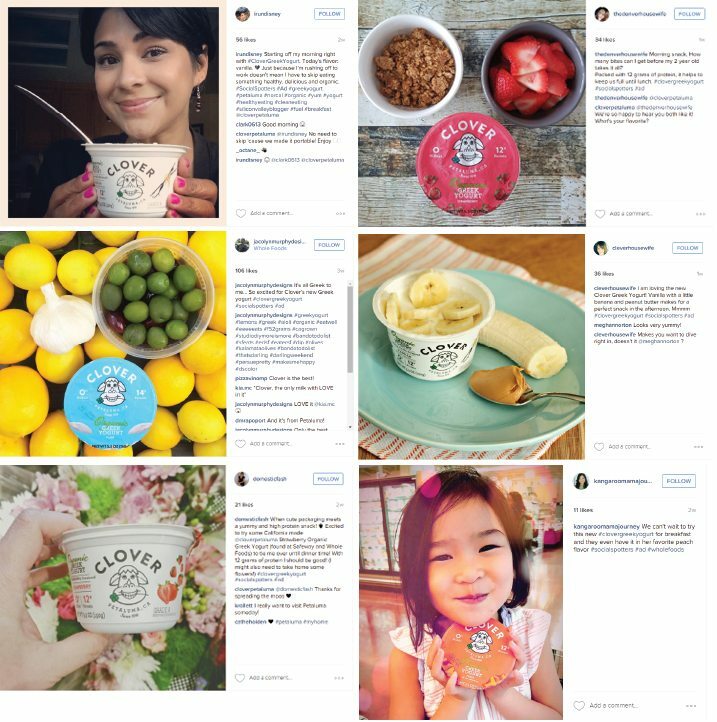 Social Spotters visited grocery stores in the San Francisco Bay Area, where Clover’s Greek Yogurt is sold, and shared photos of the products across multiple social media channels. All results exceed predetermined goals for the campaign.